Happy Hour @ The Gazebo will take place on the fourth Friday of every month thru November. Join us at the Gazebo (2nd & F Streets) in Eureka to enjoy libations, local bands & lots of fun! This family friendly concert is FREE of charge; 4:30pm-7:00pm . Enjoy a cool beverages from Lost Coast Brewery, The Booth Brewing Co. US, Humboldt Honey Wine or Humboldt Cider Company and delicious food. Dance & kick off the weekend with friends and family. We'd love to see you there! 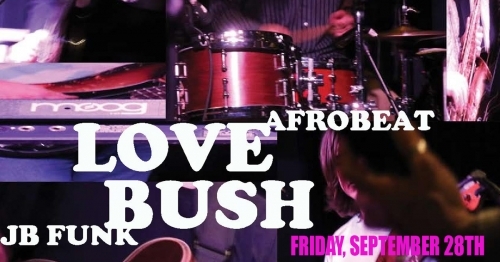 Featured band for September is Lovebush. Wear your dancing shoes, this band knows how to get down!